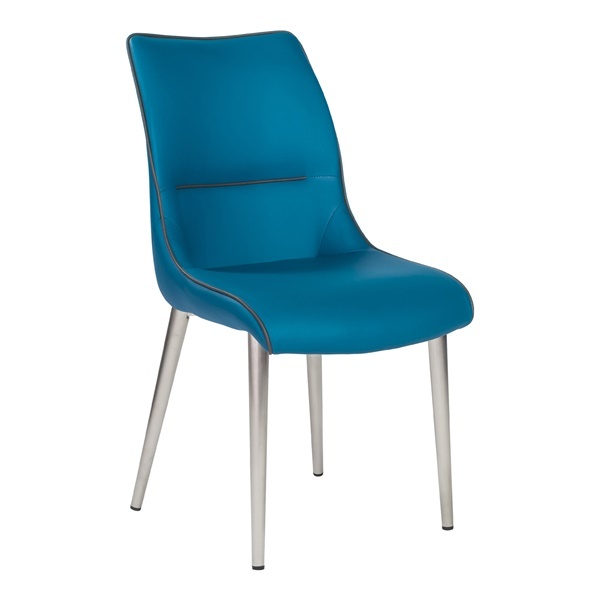 The Emilia Side Chair serves as an attractive and practical choice just about anywhere. It includes a soft leatherette over foam seat and back, ensuring maximum comfort. In addition, the side chair boasts brushed stainless steel legs for immense stability, along with a chic design to complement the d�cor in a home or office setting. Select a side chair that is sure to become an instant favorite � the Emilia Side Chair. Includes a soft leatherette over foam seat and back to deliver superior comfort and quality. Boasts brushed stainless steel legs that combine strength and versatility. Represents a stylish and practical choice in a home or office space. Designed to match the d�cor in a contemporary or traditional space.